Fifty percent of all mental health disorders present by age 14, so it is critical that we talk to students and educate them while they are young, before onset of symptoms. This program is a relaxed discussion with middle schoolers about stress. What is it? What is healthy stress vs. unhealthy stress? What are some coping methods in dealing with stress. 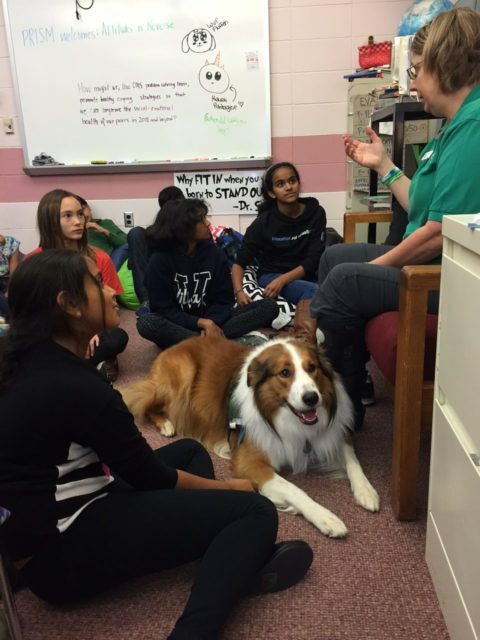 This program includes therapy dog visits.